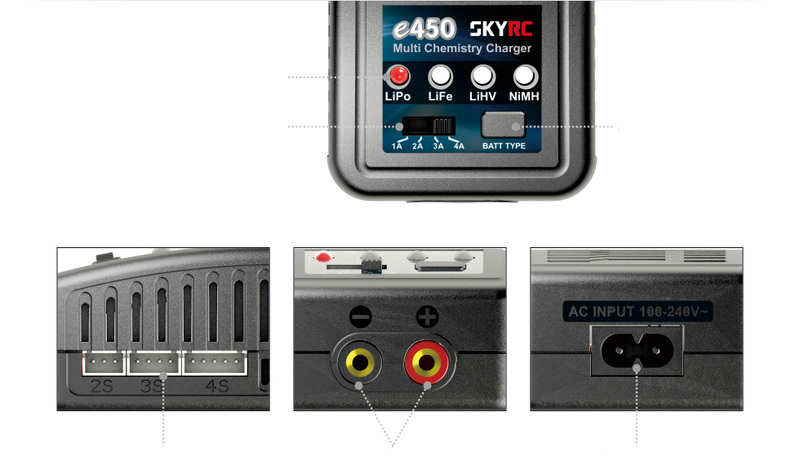 SkyRC e450 Charger is an economic, high-quality 100-240V AC balance charger, designed for charging LiPo, LiFe and LiHV batteries from 2-4 cells in balance mode. 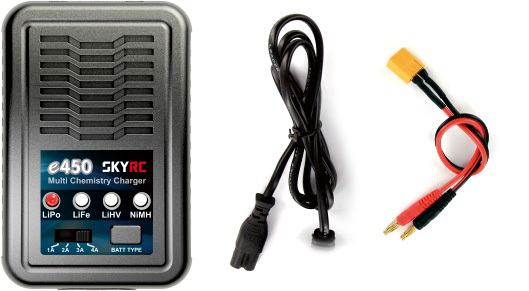 It also can charge 6-8S NiMH batteries. The circuit power is 50W and max charge current can reach to 4A. 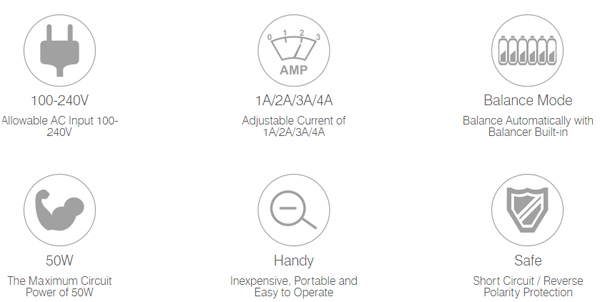 There are four kinds of charge current 1A/2A/3A/4A that can be selected. You could select the proper charge current according to battery capacity.